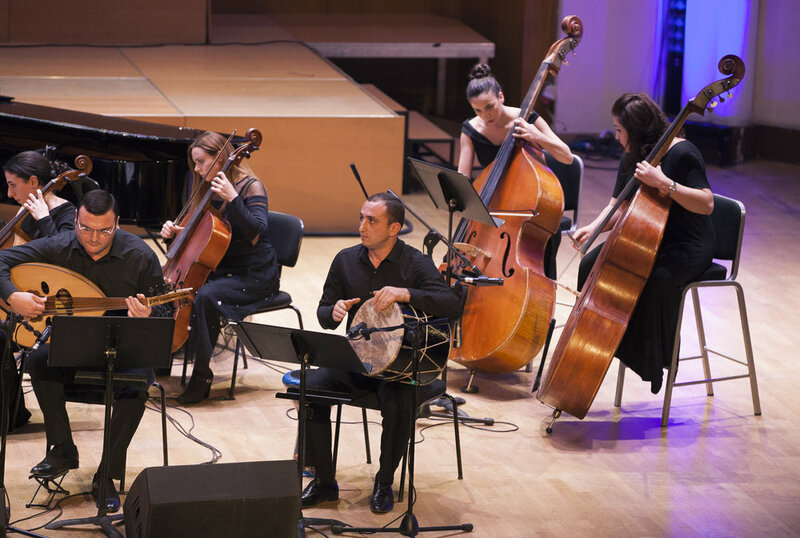 The Naghash Ensemble combines the earthy spirituality of Armenian folk song, new classical music and contemporary post-minimalism with the energy of rock and jazz. 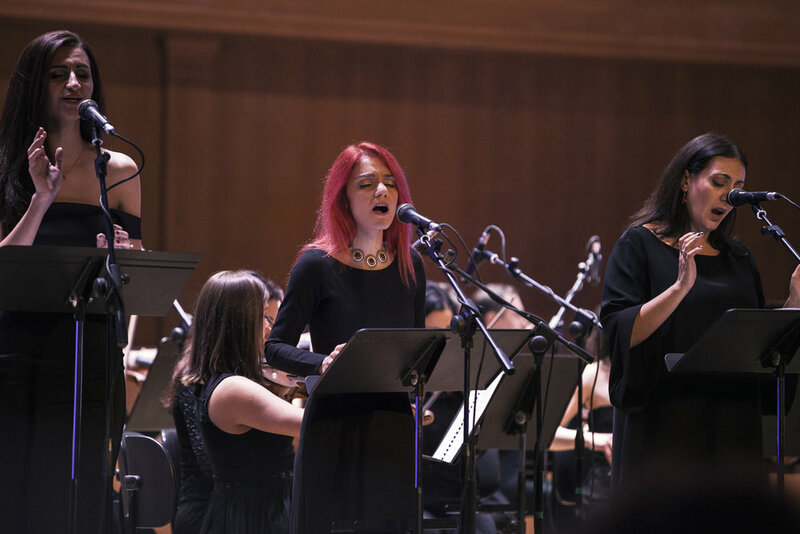 Three brilliant female vocalists and some of Armenia’s finest instrumentalists on duduk, oud and dhol play new music based on sacred texts by the medieval Armenian mystic poet and priest, M’krtich Naghash. 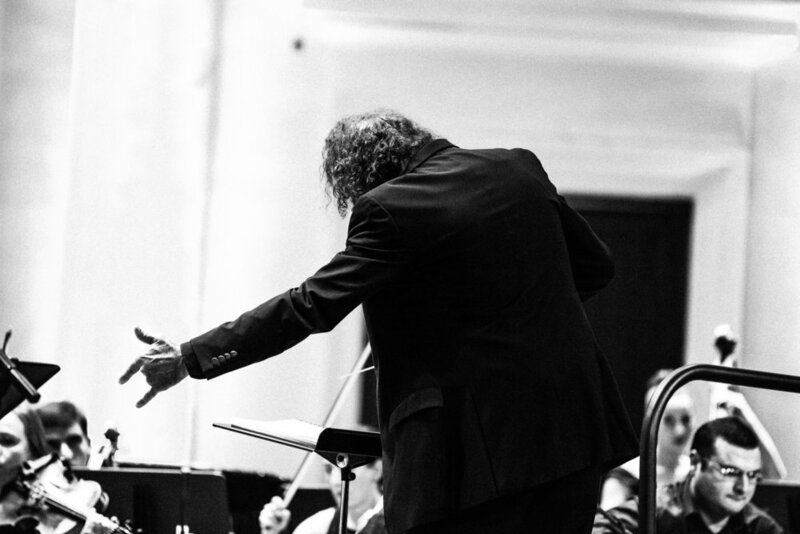 Written by Armenian/American composer John Hodian, “Songs of Exile” is a profound musical meditation on man's relationship to God from the perspective of a monk forced to live in exile for many years. Part folk music, part classical and profoundly moving. 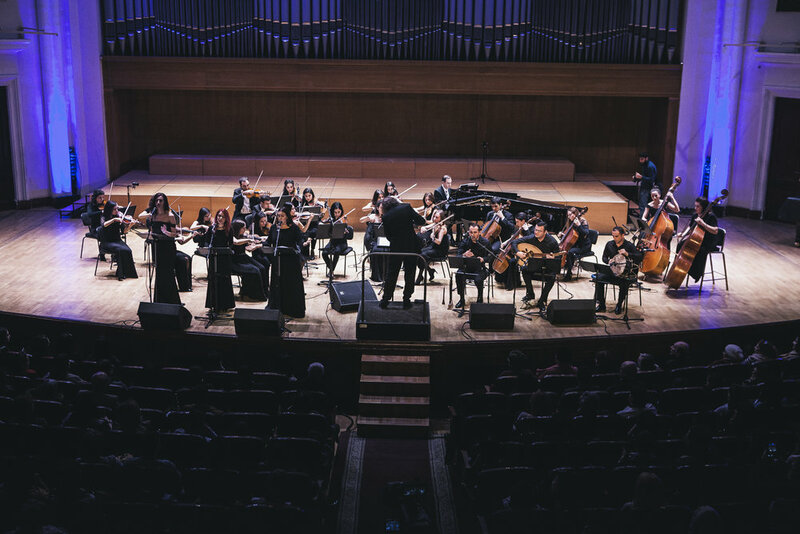 Now Hodian has created a compelling new orchestral version of “Songs of Exile” which allows for collaboration between string orchestra and the musicians of The Naghash Ensemble. “After writing, recording and touring with The Naghash Ensemble’s “Songs of Exile”, I wanted to find a way for the music to be ideally expressed without any limitations. In rewriting for string orchestra what had originally been a string quartet part and then made into a piano part for the sake of the traveling ensemble, I felt liberated to expand upon the many polyrhythms and contrapuntal lines that had been in the original score. Perusal scores available upon request.